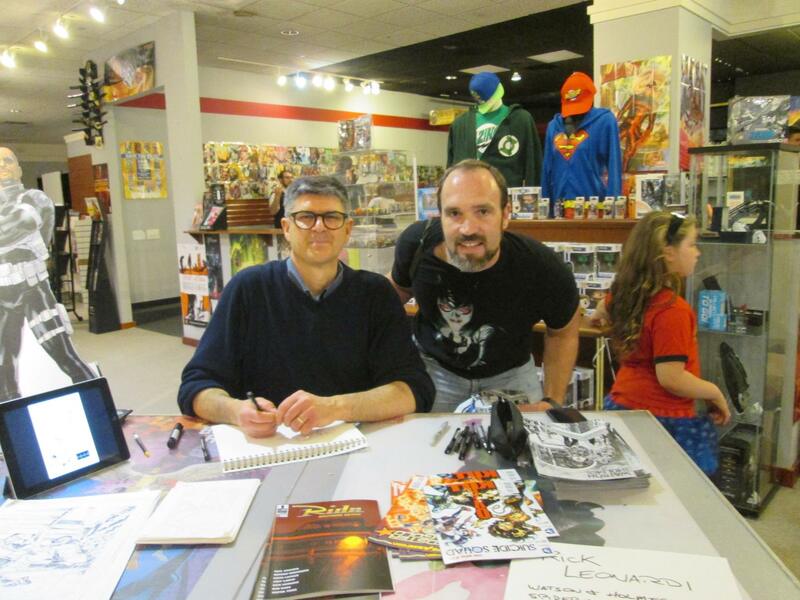 Yesterday I met one of my favorite comic book artists Rick Leonardi. He created Spider-Man 2099 and drew one of my favorite indie series Watson and Holmes! Also, he explained why covers rarely show feet. Note: it’s because feet on the ground imply a plane. So the artist has to draw a background, which is more work. No feet? No background!